V2516. 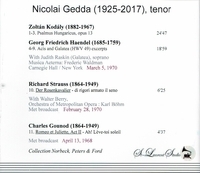 NICOLAI GEDDA, w.Frederic Waldman Cond. Musica Aeterna Orch. 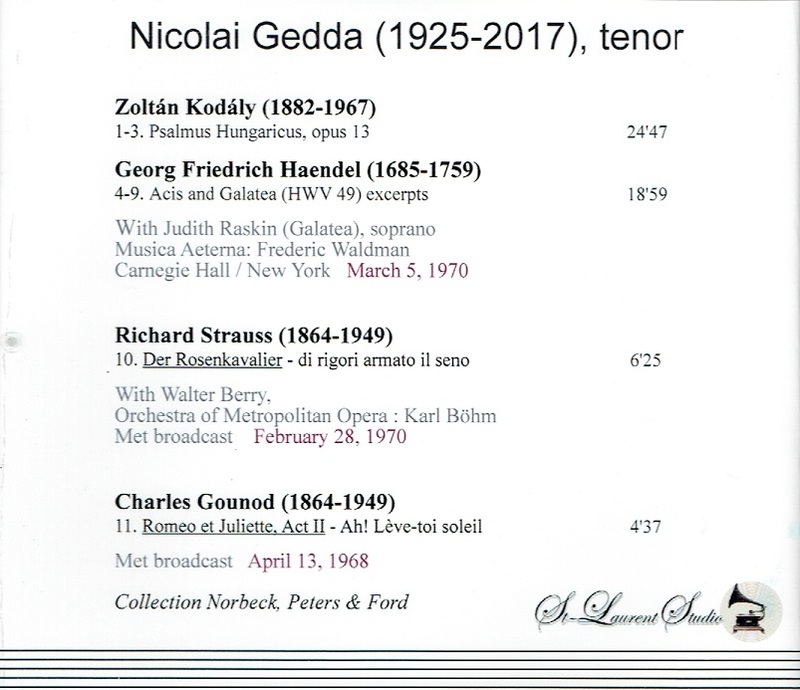 : Psalmus Hungaricus (Kodaly); NICOLAI GEDDA (only partially with Judith Raskin): Acis and Galatea - Tenor's Excerpts (Handel), Live Performance 5 March, 1970 [bright & clear acoustic, albeit the voices are somewhat 'distant' since the Hall was half-empty that night! ]; NICOLAI GEDDA (assisted by Walter Berry), w.Bohm Cond. Met Opera Orch. 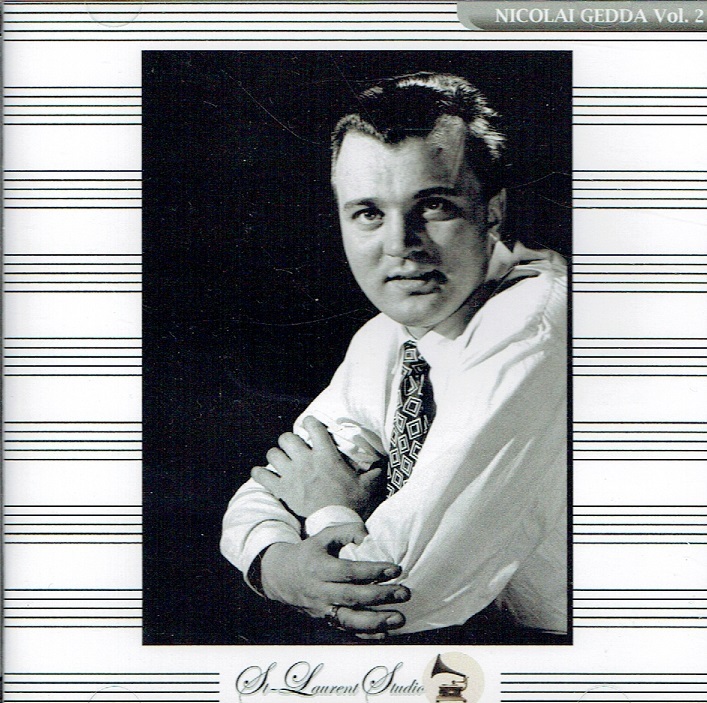 : Der Rosenkavalier - 'Di rigori armato in seno' & portion of Levee Scene, Act I - Live Performance, 28 Feb., 1970; NICOLAI GEDDA, w.Molinari-Pradelli Cond. Met Opera Orch. : Romeo - Ah! leve-toi, soleil! - Live Performance 13 April, 1969 [one of Gedda's mere 3 performances of Romeo that season at the Met]. (Canada) St Laurent Studio YSL T-436.